Let me start off by screaming one of the biggest achievements of my life… I’ve given my Mum the travel bug! For the past few years, instead of presents, my Mum has asked for trips or experiences for birthdays and Christmas. You might not be reading this as a big deal but to us, it really is. 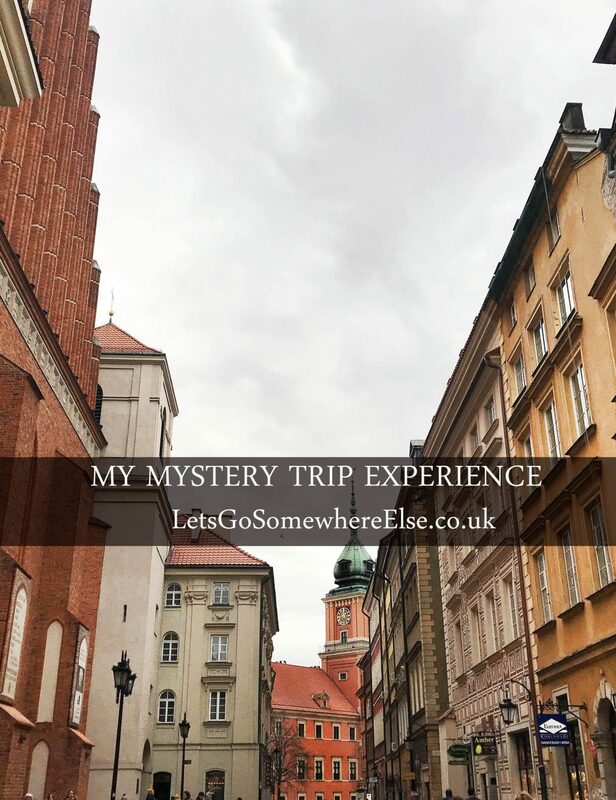 My mum was in her own safety bubble after years of camping trips in the UK (read my story here), her passport was dusty, cultural food was worlds away and her endless bucket list was just day dreams. Now she is off whenever she can, however she can. This is now also a problem too funnily enough, she just cannot decide where to go!! A problem which was simply fixed by this surprise trip. I’d stumbled upon a company called Srprs.me through an Instagram ad (hey, those do kinda work!) and I clicked through full of curiosity. I left it a while before booking anything. Just simply observing and watching the reviews come in. The idea behind Srprs Me it is to get out of your comfort zone and leave all the organising to the team. The destination is a complete mystery. You pick which date you want to fly, set your budget and the type of accommodation. You can also select the airport you want to fly from and exclude 3 cities (if selecting all of Europe). At a later date, you get through which airport you are flying from (I’d picked two options) and a week before you go you get a weather report and that’s it! You don’t find out where you’re going until you get to the airport. I’d be a hypocrite if I was constantly pushing my mum through her comfort zone and not myself so I found this concept absolutely perfect! I usually spend hours researching so this was great to let go of that control. That, and she really couldn’t decide where to go. Haha. I selected two nights, 3*+ on accommodation (as it was her birthday) and to have our trip from Friday – Sunday. We were emailed asking if we wanted extra leg room, hotel transfers and a request for our passport details. 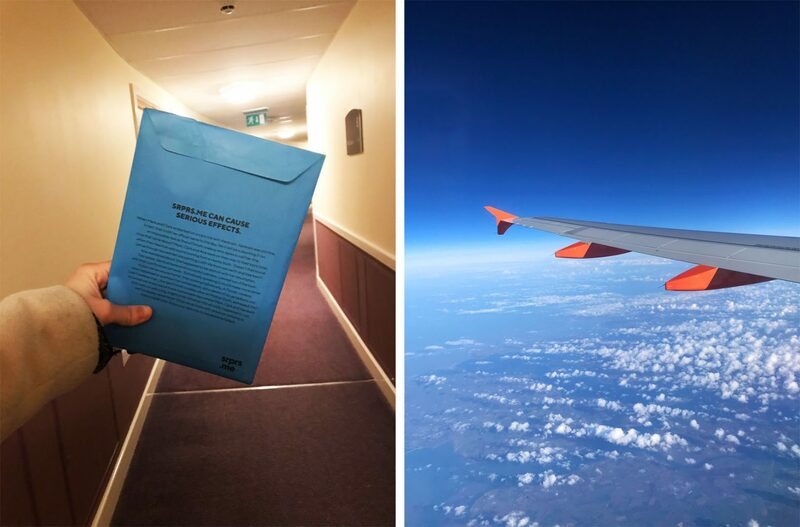 We also got an envelope in the post 1 week before we flew with a scratch card. 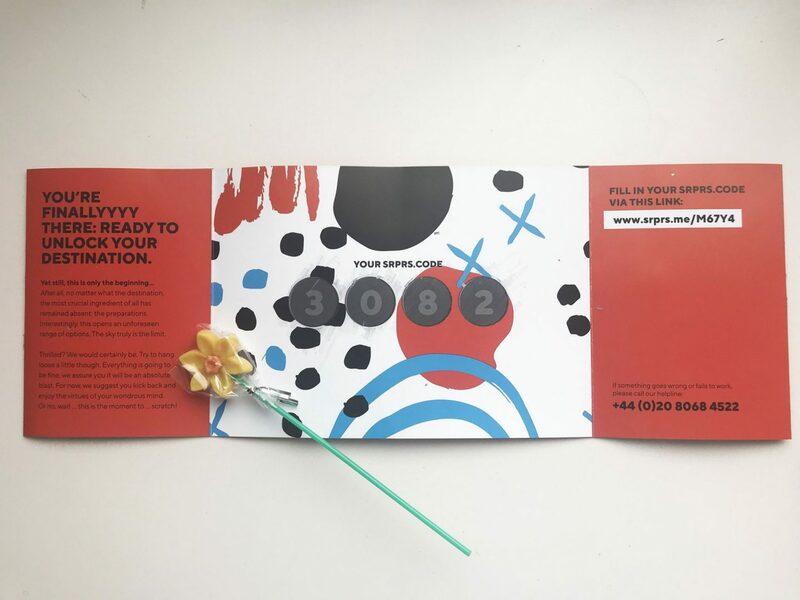 The scratch card holds the code to where you’re going which you will enter at the airport. It’s so tempting to have a peak, but don’t! I’d been to Paris too many times and I thought my mum wouldn’t enjoy Rome. I was also heading to Lisbon the following week alone so I didn’t want to go to the same place twice! I also booked hotel/airport transfers, I thought we’d be caught up in it all happening that we wouldn’t have time to research. In the end, we did have time to research but this suited my Mum more. Being “on brand” and budget was not an option on this occasion. I think I paid £350 for both (not including extras) However, you can definitely do Srprs.me on a budget! You can visibly see the price for the dates you want and they offer Hostels as part of the packages too. I did manage to guess where we were going so it wasn’t a complete mystery to me, but I didn’t tell my Mum. Everyone I told the concept too was also very curious and excited to find out. They enjoyed guessing too and some even came back to me saying they studied my weather report and tried to match it up! Our weather report was windy and the UK just had a storm which was coincidentally going upwards on the map, towards my suspicions…hmm… haha! 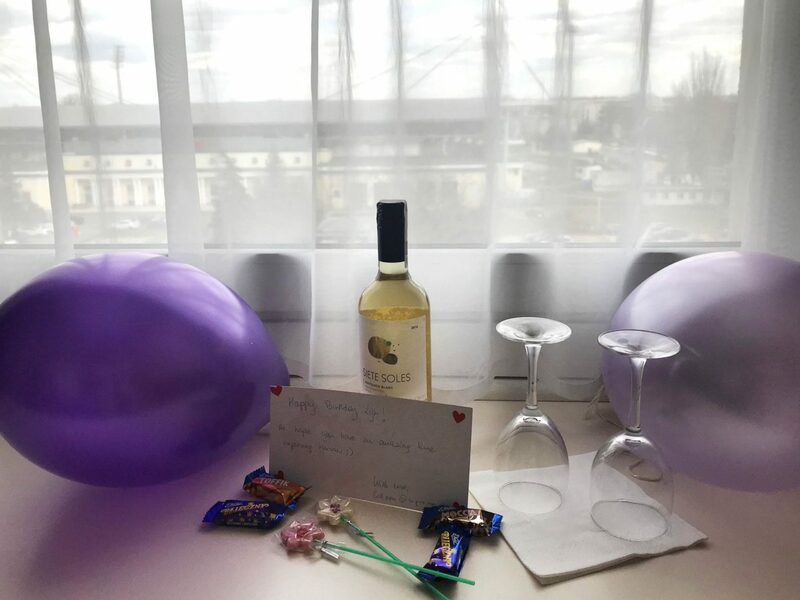 On arrival we were greeted with balloons, wine and chocolates which we were not expecting at all. These special touches really went a long way with Mum and made her so happy. So? where did we go? 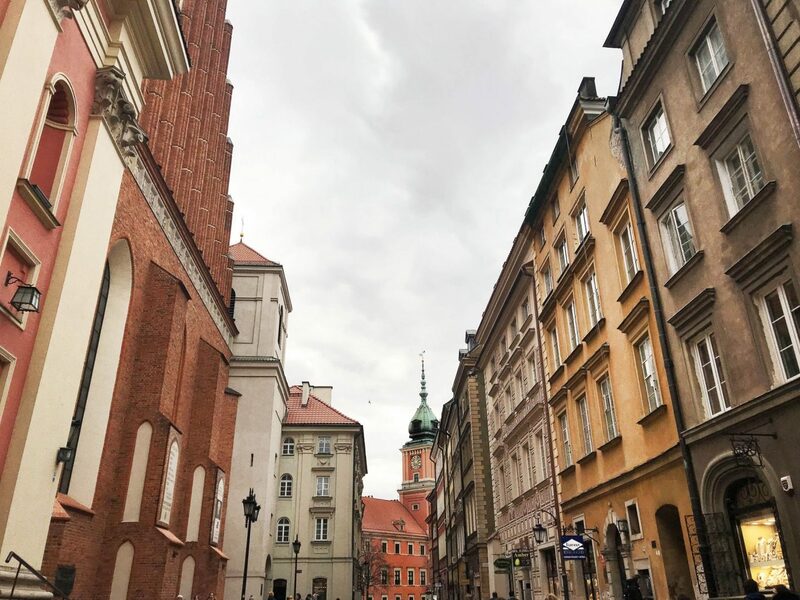 We ended up in Warsaw, Poland and we both had the best time! If you like this post, you can pin it on Pinterest. Hello! Amazing blog post, I always wanted to do it, but I never found the occasion! Why do you think your mom won’t like Rome? I think you will not need an occasion, just jump right in! She is not too big on History so I thought she wouldn’t enjoy but she has recently come to me saying she wants me to take her to Rome because there is a big foodie scene there for people who are Gluten Free like her! so I think it might be on the cards in the future! This is such a cool thing to do! And it’s reasonably priced. I really want to try this after your review. I’m looking forward to the Warsaw post too, I’ve never been to Poland! It’s great that you guys are both reaching out of your comfort zone. Travel is a great way to do it! That just might be the coolest thing EVER! I’m glad you guys had a great time. Thanks for sharing! Thank you! it really was a fab whirlwind! This is such a cool concept! I rarely travel, but with summer coming around soon I might have to save up and try this out sometime. Is it available in the United States as well, do you know? I’ve just tried to have a google but I couldn’t see anything for USA. You could come to Europe and then book something? if you’re thinking of long term travel! Thank you Ellie! I’d definitely recommend them for any time of year if you don’t make it this summer. They seem on form with where the “go to” destination of the month is! This is so cool, I’ve seen people do this for their friends or family but didn’t know there was a company for it! It’s good that they give you a weather report too because otherwise I’d be so anxious about packing the right things! Fantastic post! 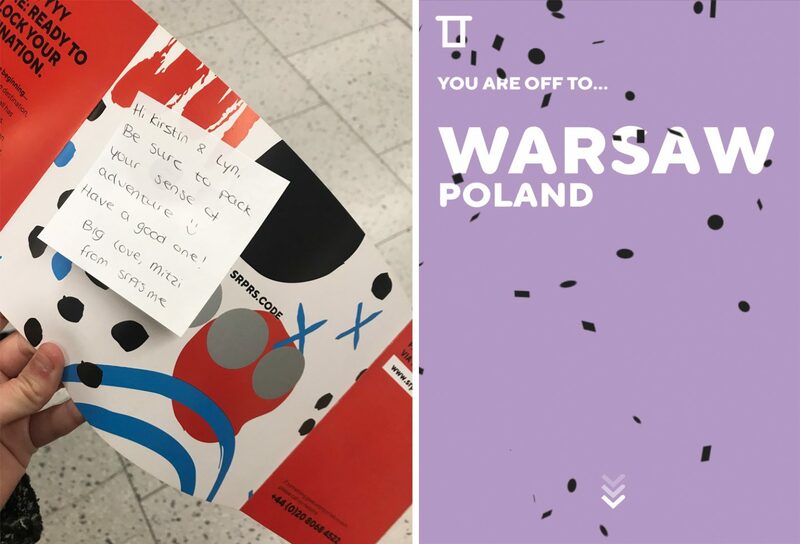 I’d love to visit Warsaw! Enjoy Lisbon! This sounds like such a fun way to do a holiday! How exciting! What a great read, keep up the good work! It was great fun Jenny! You should try it out!